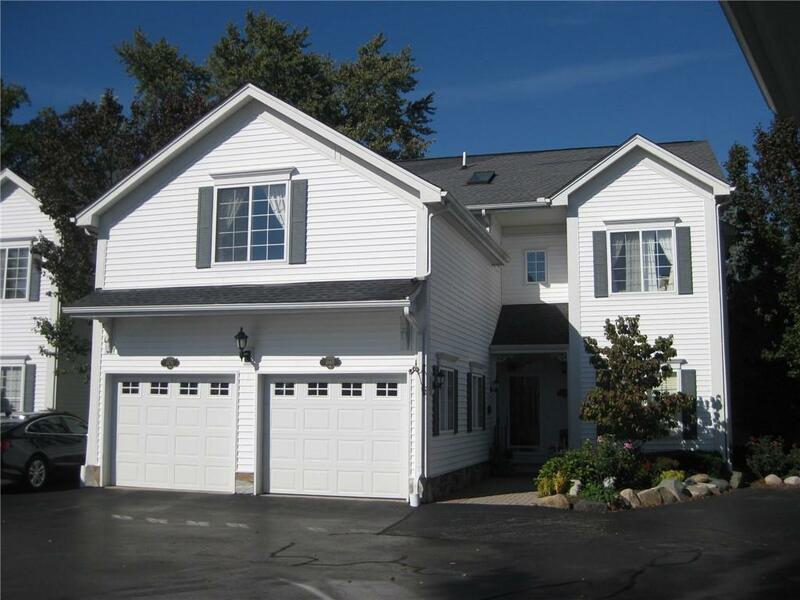 Exceptional upper ranch condo in highly desired Cassady Place...walk to Downtown Plymouth! Custom features include: Kitchen~Custom layout, cappuccino glazed maple cabinets, granite counters, premium ceramic tile floor and over sized dine at snack bar. Dental molding book/art shelving in kitchen, dining, and living room. Custom paint (no wallpaper), drapery, lighting, living room windows, and stone gas fireplace. 10' solid core two panel doors to bedrooms. Wood floors throughout. Master suite features tray ceiling and walk in closet. Master/2nd Full Baths: 'Air' jetted tub, extensive master craftsman tile work, cabinetry, fixtures, antique lighting, and over sized shower's with a stunning custom mosaic mural. Pet allowed ($25 fee per year). Assn. fee include water, trash/snow removal, grass/grounds maintenance. Welcome to your beautiful home! BATVAI. NO virtual showings allowed.